There's new way for CEOs and business owners to purchase IT support that's faster, better and less expensive than the old time and materials approach. It’s called Selective IT Outsourcing, or sometimes referred to as managed services, where you negotiate a fixed fee per month based upon the number of workstations, servers and printers that you have in your company. For this fixed fee you get a specific set of written IT recurring deliverables that insures your IT infrastructure becomes reliable. 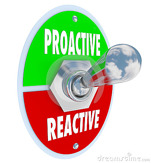 Instead of the reactive time and materials approach, now your IT service provider proactively works on everything in your IT network to ensure nothing ever breaks! Imagine an IT company where you never have to tell them to fix anything, they just go and do it, and they do it faster than trying to do it yourself. Your employees are happier (and more productive) and you never have to deal with the financial and technical uncertainty from the time and materials approach. If we look at this from the business owner or CEO's perspective Selective IT Outsourcing allows you and your IT provider to both be working on the same team. Now the support your IT services firm provides becomes so proactive that neither you never have to worry about any service issues or any increases in expenses related to supporting your business. Both you as the owner and the IT outsourcer are working together in tandem for the same result: your company has an excellent IT infrastructure that requires virtually no unplanned support. Your employees are happy and they are highly productive because all of your IT assets are working. Best of all you are enjoying a fixed fee engagement that is far less than hiring and doing IT yourself! While we know you only care about the business owner's perspective, it might be interesting to see how this fixed fee approach benefits firms like ANP and how in the end, that benefit actually comes back to helping you and your business. So let’s look at this new approach of Selective IT Outsourcing from the IT company's perspective: There is no longer wild revenue variation every month because all of their billing is fixed fee and recurring. Now they hire the most talented and expensive engineers they can find—why? Because they are incented on a fixed fee basis to get your IT infrastructure to run at its absolute best and that only happens with the best engineers working on it. As a business owner, CEO or decision maker you want to look for IT services firms who offer this fixed fee model not because they hire the best people, but because by hiring the best people you get the best level of service for your business. As a way to compare the old and the new model, let me pull back the curtain and show the inner workings of an IT services firm. In the old Break/Fix IT model your IT support vendor was actually incented to ONLY deal with the surface issues. If they went deeper the expenses could become significant from a time and materials perspective, so most of the time, support teams simple made the problem go away, instead of fixing it for good. In the new model, your IT team is incented to keep all your laptops, networks, systems software and hardware running at peak performance! Since you don't incur additional costs if issues crop up, its in their best interest to proactively keep issues to a minimum. The IT provider is more profitable if they are able to keep your network running so well they don’t have to invest in additional unforeseen labor. While most IT providers probably don't want you to know or even understand the behind the scenes at their firms. ANP is different. Our goals are your goals. To have your business run smoothly and for us to working, every day, to ensure your network, equipment and software are constantly running predictably and smoothly.